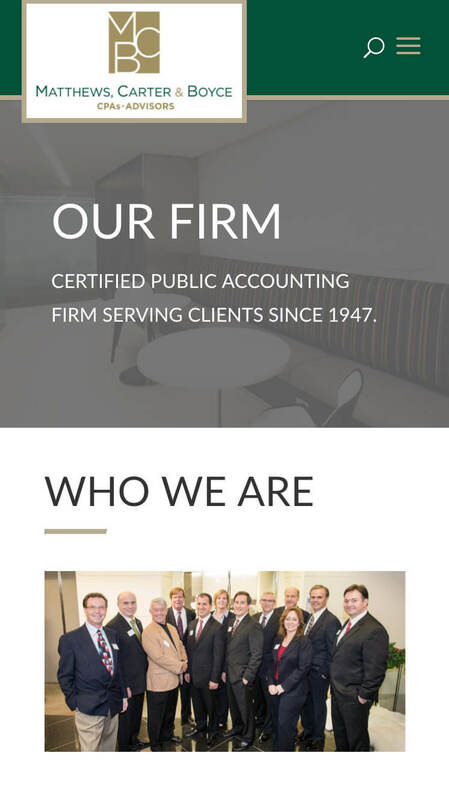 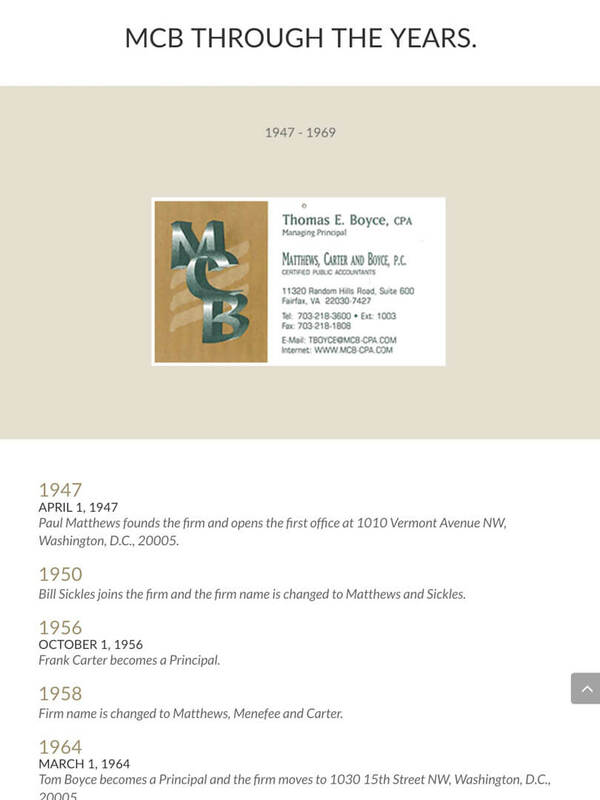 Matthews, Carter & Boyce (MCB) is a CPA and advisory firm in the D.C. metro area with a rich history of service spanning over seven decades. 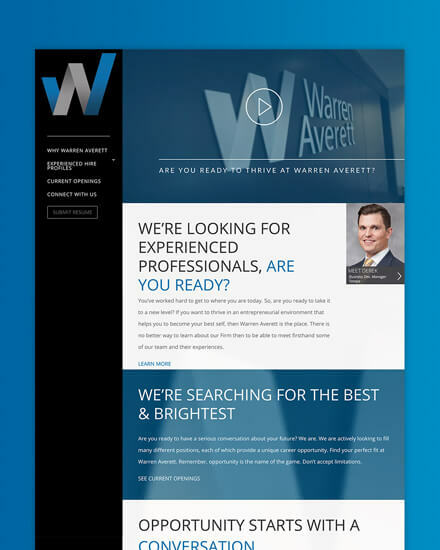 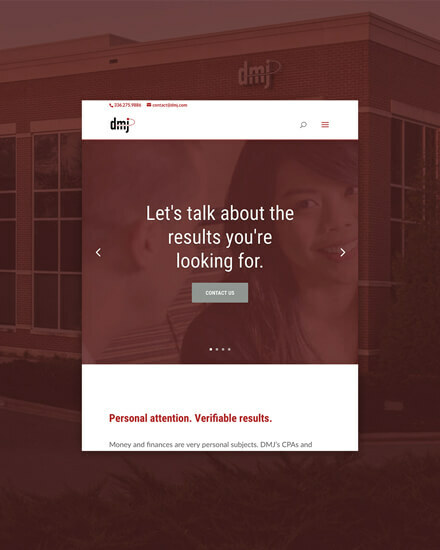 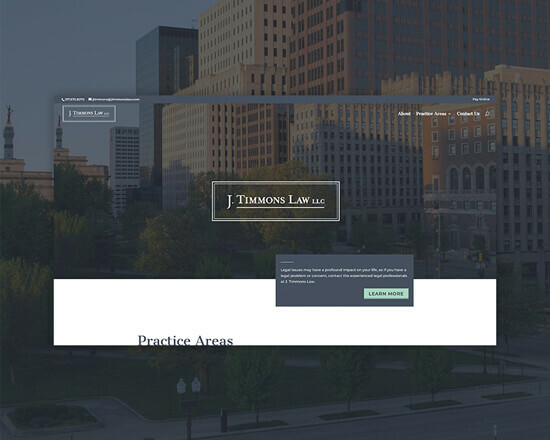 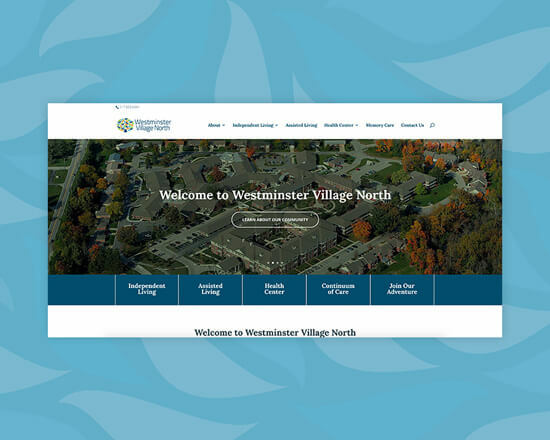 With a longstanding history and significant recent growth, their website needed to be updated to better serve the current and future needs of the firm. 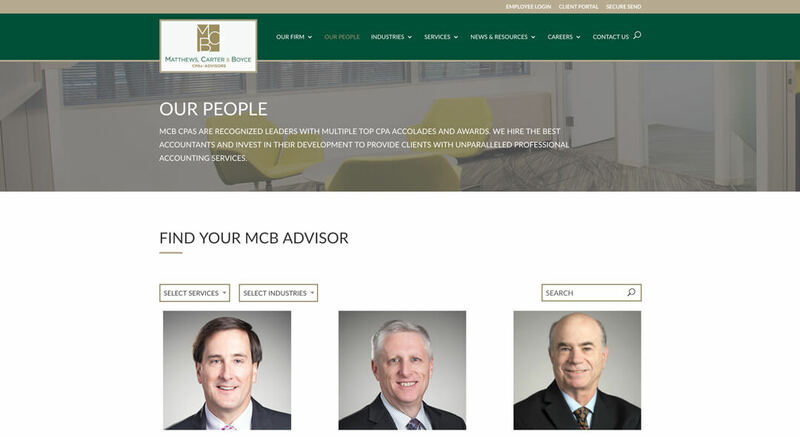 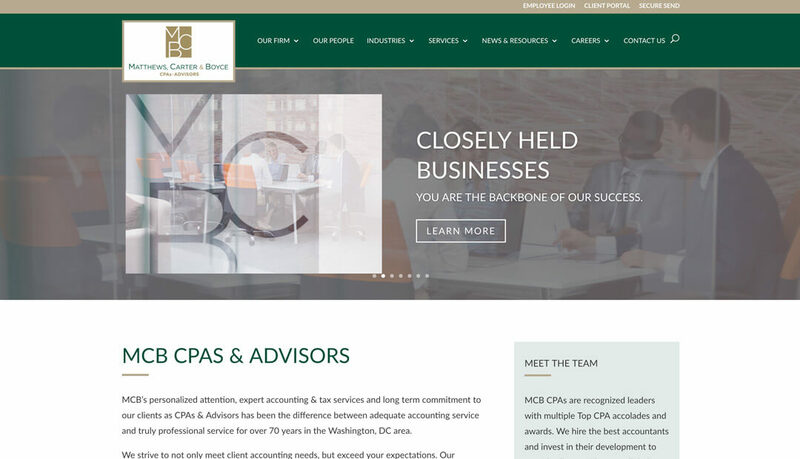 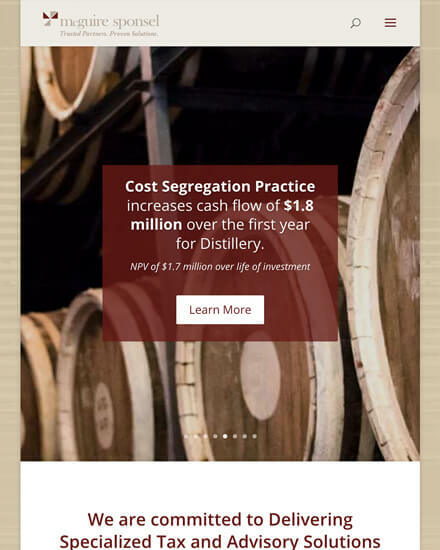 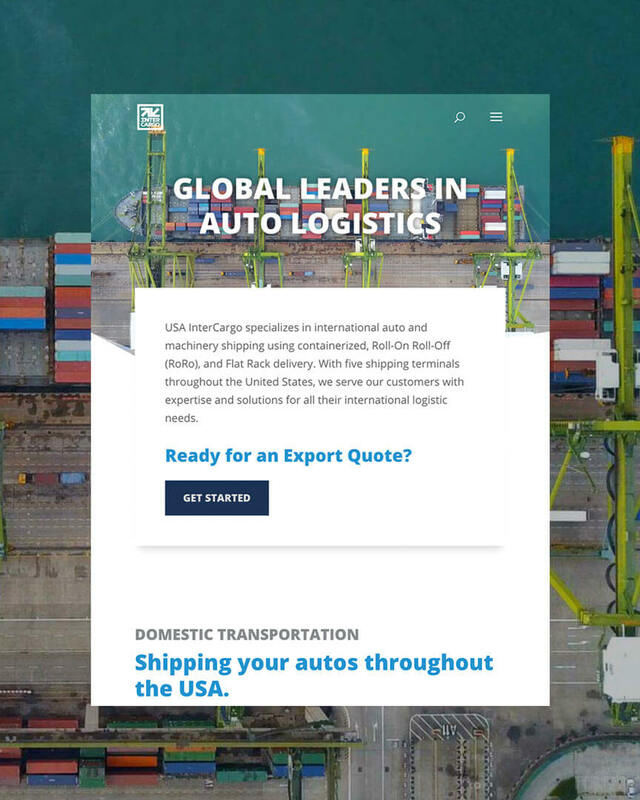 MCB’s staff includes a number of industry experts, so management sought to promote their expertise and integrate thought leadership throughout their new website. 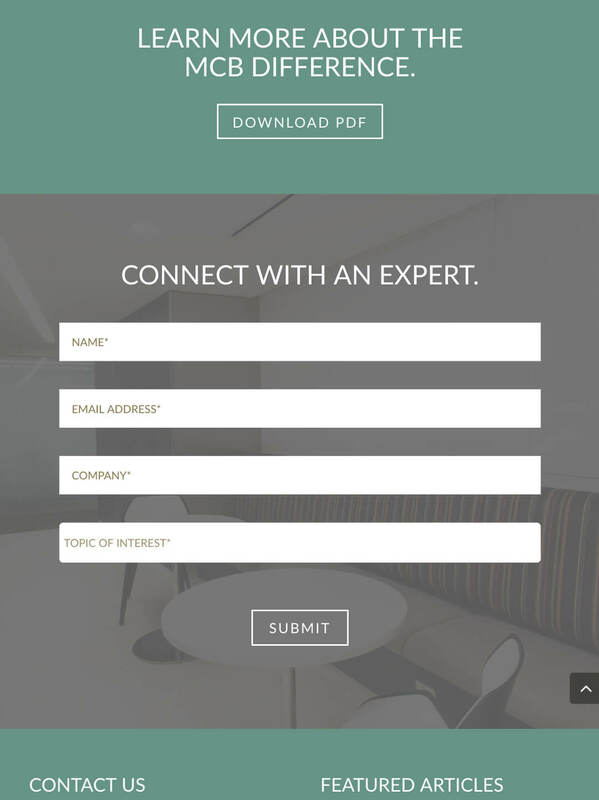 Below is an example of the practice leader sidebar functionality. 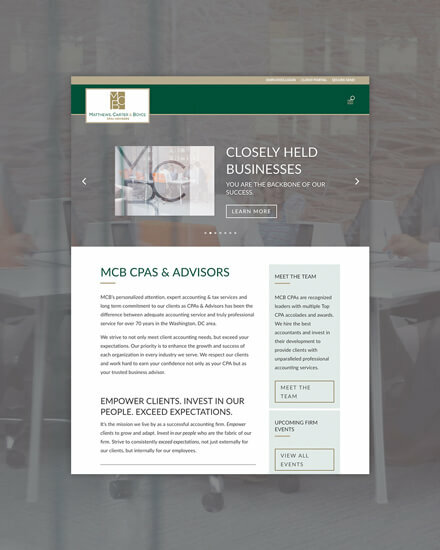 Being in such a large and competitive market like the Washington, D.C. metro area, our creative team strove to integrate MCB’s personal connections and award-winning customer service throughout the website. 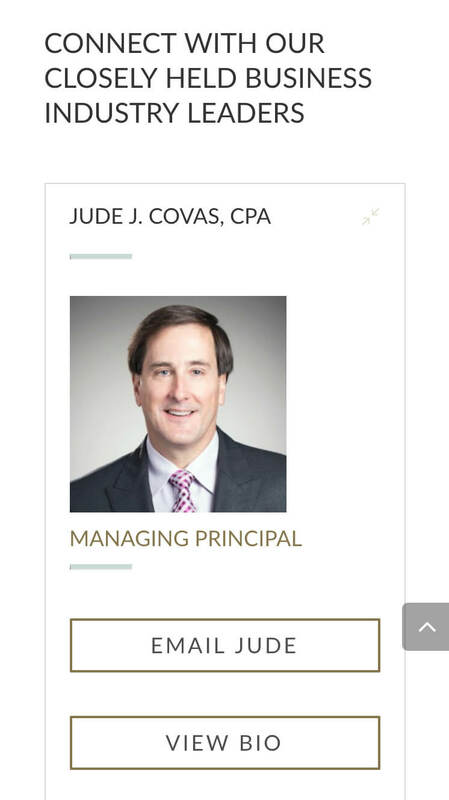 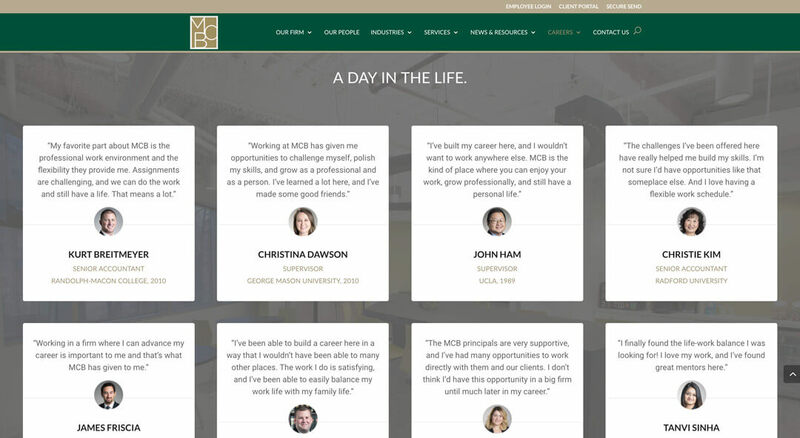 The website features a special employee testimonial section that shares insight on day-to-day life at the firm. 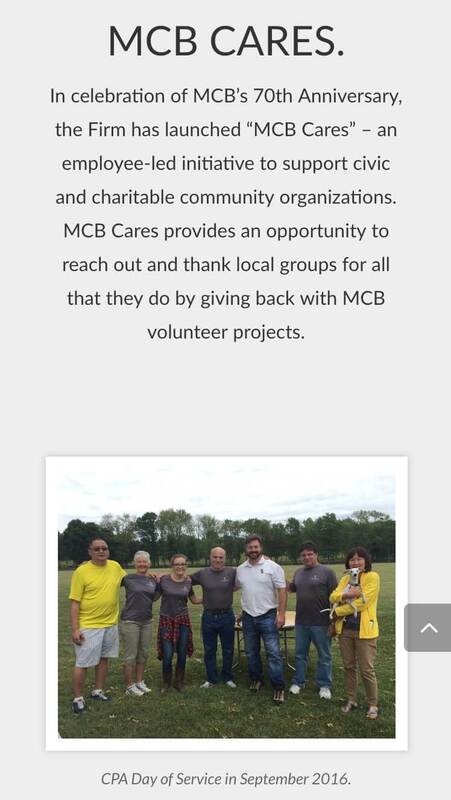 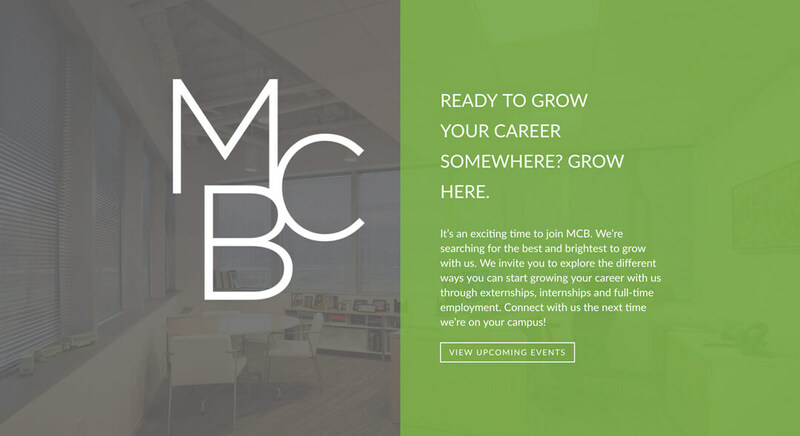 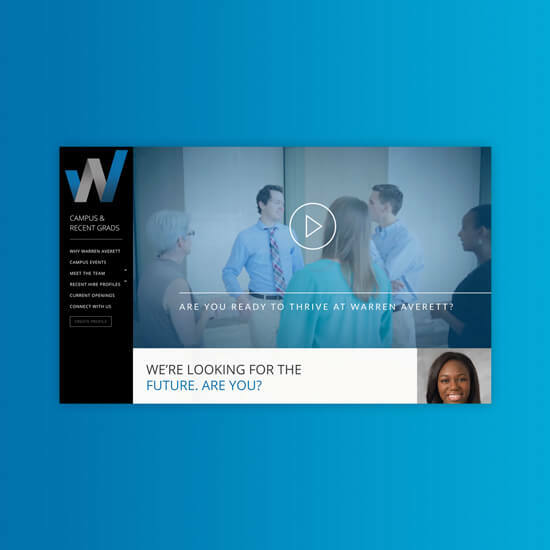 The new website incorporated a special recruiting section that was designed specifically to complement MCB’s on-the-ground efforts for recruiting new talent. 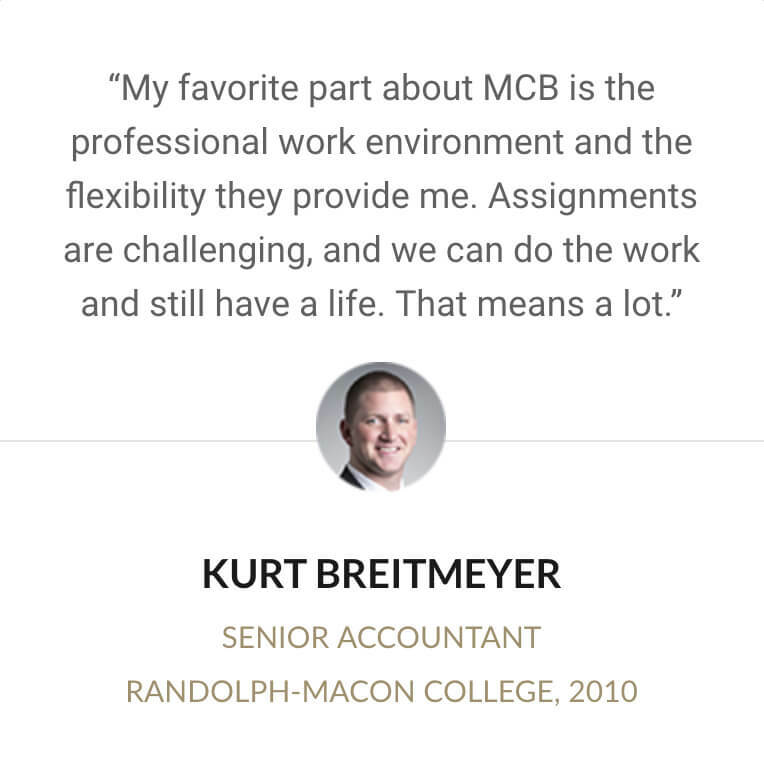 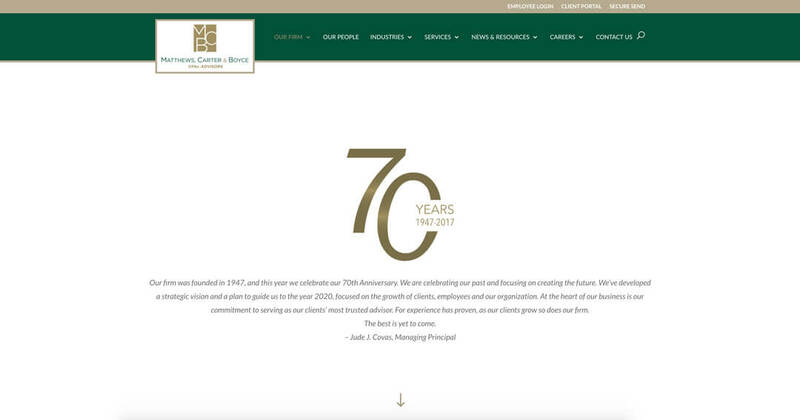 In 2017, MCB celebrated 70 years of service, and asked us to create a special section on their website that celebrated their past and focused on their serve beyond the numbers throughout the years.